Old olive orchard III, 2017. 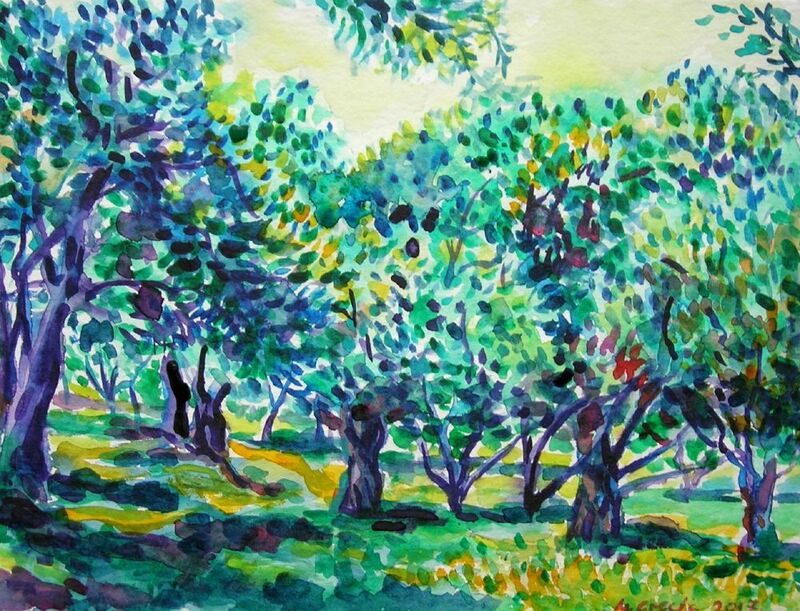 Olive trees evoke in me memories of Greek islands, Montenegro and Mediterranean. It is one of the most intriguing trees with its gnarled trunks and blue-green leaves. Every tree has a character, just as people do, and I often depict them in my artworks. This image is of an old olive orchard in Montenegro near Boka Bay. Painting is made with quality watercolourson a 425gsm acid free Hahnemuhle paper.